Spunky, spirited Grace and quiet, thoughtful Tilly go door to door in search of clues. The cul-de-sac starts to give up its secrets, and the amateur detectives uncover much more than ever imagined. As they try to make sense of what they’ve seen and heard, a complicated history of deception begins to emerge. Everyone on the Avenue has something to hide, a reason for not fitting in. What the girls don’t realize is that the lies told to conceal what happened one fateful day about a decade ago are the same ones Mrs. Creasy was beginning to peel back just before she disappeared. Joanna Cannon is a psychiatrist with a degree from Leicester Medical School. She lives in England’s Peak District with her family and her dog. 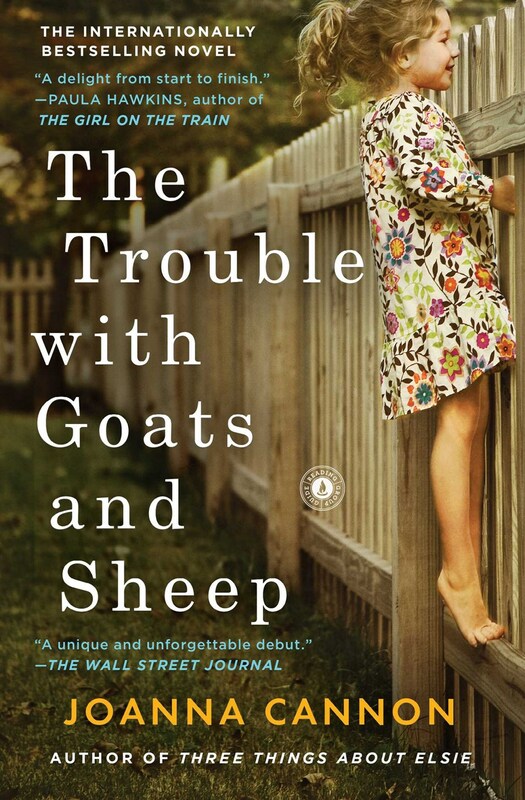 She is the author of Three Things About Elsie and The Trouble with Goats and Sheep, a top ten bestseller in the UK. is a psychiatrist with a degree from Leicester Medical School. She lives in England’s Peak District with her family and her dog. She is the author of Three Things About Elsie and The Trouble with Goats and Sheep, a top ten bestseller in the UK. Our next meeting will be March 25, when we will discuss The Alice Network by Kate Quinn.